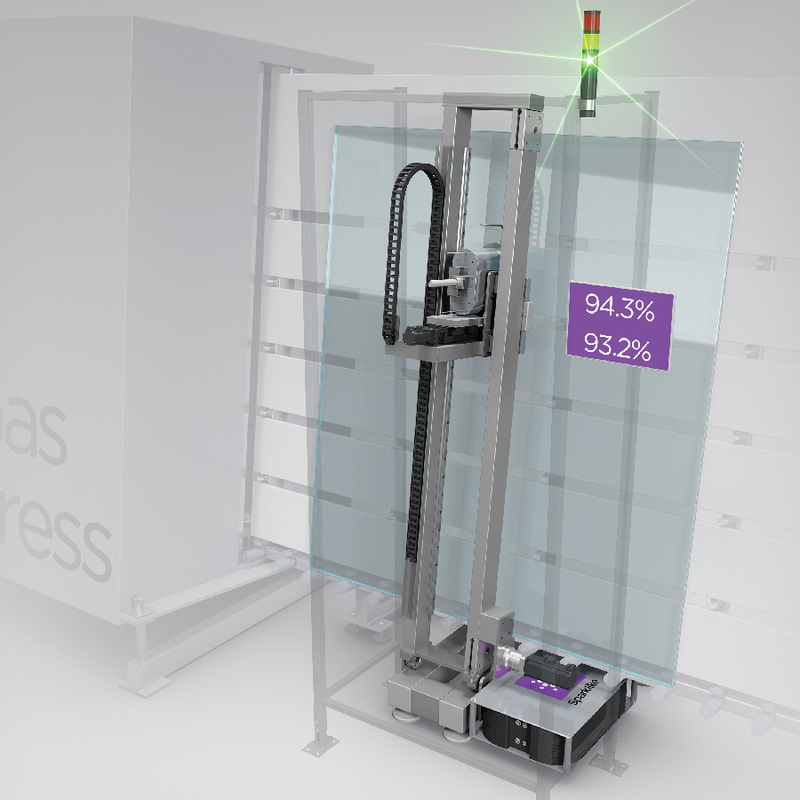 At Glasstec 2018, Sparklike had on show its most recent development – a turnkey IG-line integrated and non-destructive measurement solution of argon concentration for triple- and double-glazed insulating glass units. During the show, we also spoke to Jarno Hartikainen Development Manager at Sparklike – who gave us some information about this new product and company developments. Sparklike Oy is the developer and manufacturer of the world’s first non-destructive argon analysers for insulating glass windows and doors. Since 1999, the company’s products have been sold worldwide, and are used daily by world leading IG manufacturers, window and door manufacturers, testing laboratories, building quality inspectors and construction consultants. 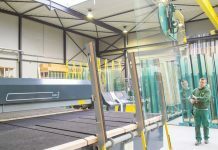 Sparklike’s new turnkey system was presented at Glasstec 2018. Allowing IG-line integrated and non-destructive measurement of argon concentration for triple- and double-glazed insulating glass units, also through coatings and laminated glasses, it is a turnkey solution that is integrated directly into the insulating glass line. This innovative system is based on Sparklike’s patented and proprietary technology. With Sparklike Online™, IG manufacturers are able to confirm the proper functioning of the gas press, in an automated way. Something that was not possible before. Finally, the use of Sparklike Online™ ensures that the end-user receives an IGU with the gas concentration that complies with industry norms, regulations, as well as customer expectations. The ever-growing popularity of Sparklike devices is due to the fact that this agile and innovation driven Nordic company – that holds various patents for its never-before-seen technology – is continuously able to develop its expanding offering to correspond to industry requirements. In other words, Sparklike devices allow IG manufacturers, window and door manufacturers, testing laboratories, building quality inspectors as well as construction consultants worldwide the possibility to measure the gas concentration of IG units in a fast, economic and non-destructive way. 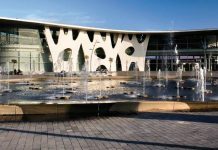 After meeting with Sparklike a few years ago, we went to see them during Glasstec to find out how the company and its products have changed. Jarno Hartikainen, Sparklike: First of all, there has been quite a lot of growth in our distributor network as well as in personnel working for Sparklike. In fact, we have hired a new North American technical representative, a new person for production as well as a new Development Manager. As far as distribution is concerned, we have a new distributor who covers Spain and Portugal, as well as another person for India. Glass-Technology International (GTI): Growth in personnel and distribution, but what about production and production area? Sparklike: Right now we are still at the same premises but, with this new product there are plans to grow in this area too. We have had the devices for the gas measurement of double-glazed units since 1999, and then in 2014 we started to develop the laser product line which responds to the market demand of being able to measure through coatings and laminated glass, but also to be able to measure triple-glazed units as well as double-glazed units. Then in 2016, at Glasstec, we presented the Sparklike Laser Portable™ device, complete will all components and a battery, and with wheels of course to allow the operator to move around the factory with the device. This time we have come out with a new launch which is the Sparklike Online™ system, an IG integrated solution and which takes the place of our previous types of sales – which were based on us selling the different components or parts to manufacturers, who then put them together as they needed for their measuring operations. We decided to come up with the new complete measurement system in response to the demand from the market and clients – and it’s a turnkey solution, which includes all the components that we supplied before, but also the machine that moves the measurement head. GTI: Is the machine fixed or can it be moved around the workshop? Sparklike: There are different options that we are testing right now. It can be placed in an IG line, right after the gas press, or, if clients do not want to stop production for measurement, they can attach the machine to the sealing robot after filling. However, the innovation with the Sparklike Online™ system is that it can communicate with the ERP system so that it knows what type of glass is coming next. This guarantees shorter measuring times than with other laser devices. GTI: How long does it take the machine to do the testing? Sparklike: Well, it depends on if there is the possibility of connecting to the ERP, but for double-glazed units it’s actually a maximum of 21s., while for triple-glazed units it’s about 28s.And this means that our next growth strategy is in production space – still in Helsinki. GTI: What about collaboration with other machinery manufacturers? Sparklike: I don’t think it’s completely out of the question, and the idea has been on the table as well, but it is our patented technology and we have the resources to develop the technology ourselves. GTI: Tell us a little more about the Online system. Sparklike: Online is the most important word and ‘non-destructive’ the second in the product’s name. And Online means that you can integrate the system directly in IG glass production lines. This is something that we are now able to offer our clients for the very first time – a fully integrated turnkey system. GTI: What about vacuum glass? Would this system be able to test the vacuum level in IG units? Sparklike: Actually, the engineer who developed the system – Kai Niiranen – R&D Engineer at Sparklike – is the best person to answer this question! Kai Niiranen – R&D Engineer at Sparklike: Basically speaking, it’s possible to measure vacuum with our system, as we would have zero results from the vacuum – which would be the perfect or ideal result for vacuum IG. But the problem is that those IG units have an extremely small space between the glass panes and this would mean that our results would be really small. And this means that in practice it’s not possible right now but it could be our next job! 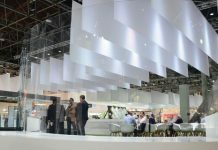 GTI: What are you expecting from this Glasstec event? Sparklike: We have been very busy with a lot of people interested in the Online system, because a system like this has never been available before now. And Glasstec is the ideal way of expanding our brand awareness… ourselves and our devices known at global level.